65-66 Mustang Steering Column Tube Bearing. Fits on shaft under steering wheel. This is an exact reproduction made from the original Ford Blue Prints. 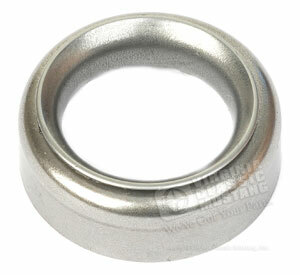 Use in conjuction with our SU66 Steering Column Tube Bearing Sleeve.